Are you Dealing with Cat Obesity Problems? Just like their human counterparts, cats have health issues that can be preventable or quickly recognized and diverted by their humans. 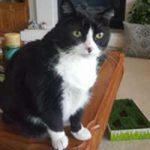 Your kitty cannot talk to you to tell you what is wrong so a lot of times, it’s up to you as a responsible cat owner to intercede on your furball's behalf and determine if you have real cat obesity problems. 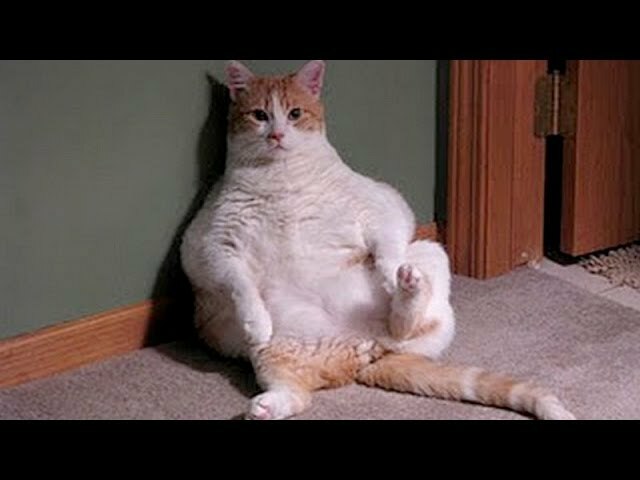 One of the most common issues that are preventable but can cause serious cat and health problems is obesity! We know how we feel when we put on a few extra pounds – lethargic, easily tired, just not ourselves. Veterinarians are seeing more and more cats that resemble a puffy toy than a healthy cat. 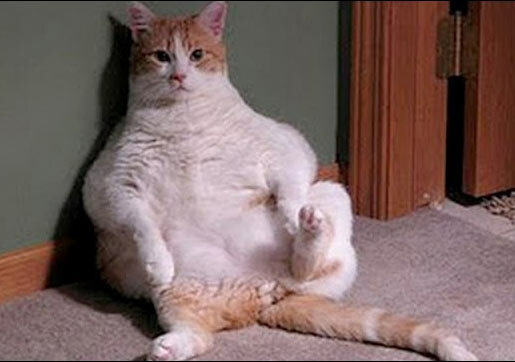 A 2014 survey by the Association for Pet Obesity Prevention finds that over half of our pets are overweight. 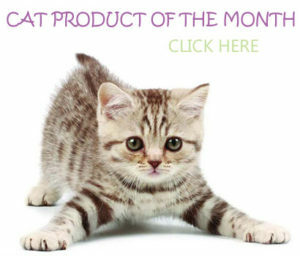 Again, just like humans, not only does your kitty not feel that great but it can also lead to more critical cat health issues such as diabetes, urinary tract issues, liver and GI diseases as well as osteoarthritis. 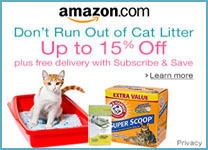 No one wants our sweet little jellyroll felines to suffer because we love to spoil them! Any of these health issues can shorten your cat’s life, just as it can our own. 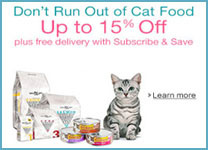 It is our responsibility to take care of our kitties and do not overfeed them. 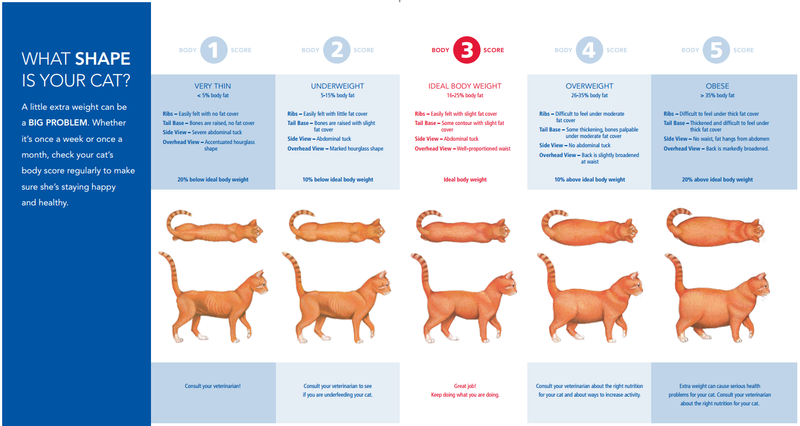 If you are dealing with cat obesity problems, below is a chart that shows how you can gauge where the kitty sits on a healthy weight scale. Is Pumpkin the side of a teardrop lying on his side? Is his belly almost touching the floor? If you think your cat may be overweight, take the next step for your cat and health – make that phone call to your vet and talk to them about the best way to start managing kitty’s weight. If you have stories of how you reduced the weight of your little balls, we would love to hear it or see before and after pictures! 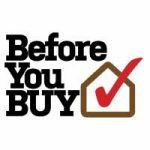 Please send us your comments below. We love these animals and want to keep them with us for many, many years to come. 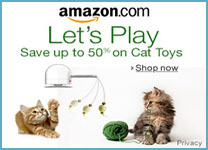 In the meantime, watch for new articles to come to help with “Cat and Health”. 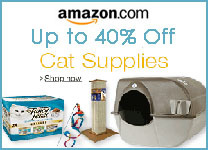 Giving your kitties’ vertical territory inside will help in the quest to keep your furry friends healthy and fit. A cat tree is a solid way to encourage exercise indoors. 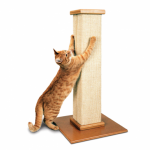 Check out our TOP 10 Cat tree reviews in both the (Standard) and (Premium) categories.